Does anyone have any photos of yours or others you know about? I can't seem to find many pics at all anywhere. Not exactly sure what you are asking Al. The RR of C and the Winnipeg Gren wore standard issue battledress in Canada. In Hong Kong they wore khaki drill uniforms. When both units were re-constituted in Canada after Hong Kong they wore the standard battledress. I think what he means is does anyone have any WW2 periode WG or RRoC unifroms in there collection or know of anyone that does and are there pics to share. Is this correct Cameraguy? If so I to would be curious to see any WG or RRoC uniforms anyone might have. 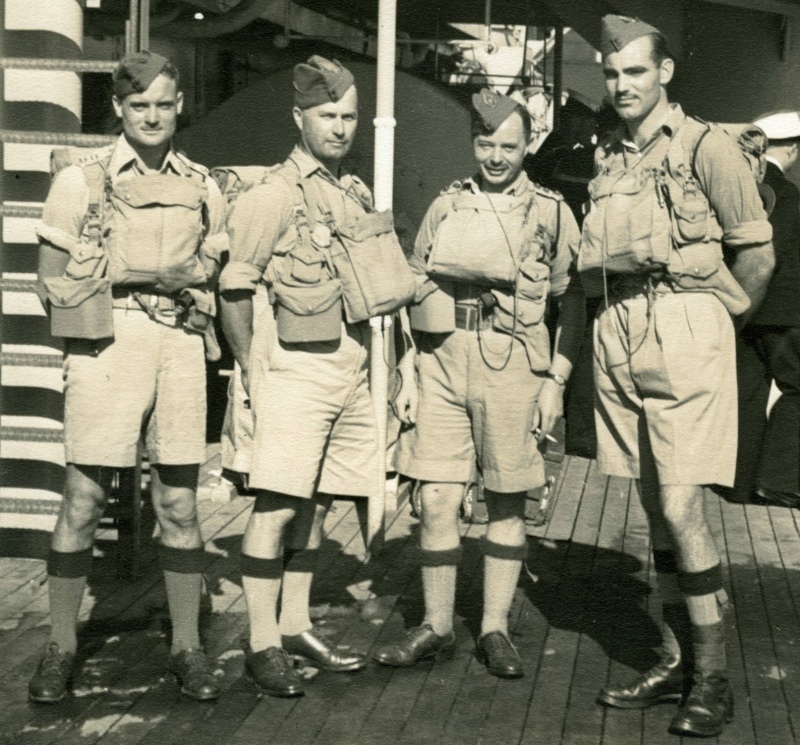 To re-iterate, in Hong Kong the RR of C and the WG wore khaki drill uniforms. Not sure of the issuing authority. 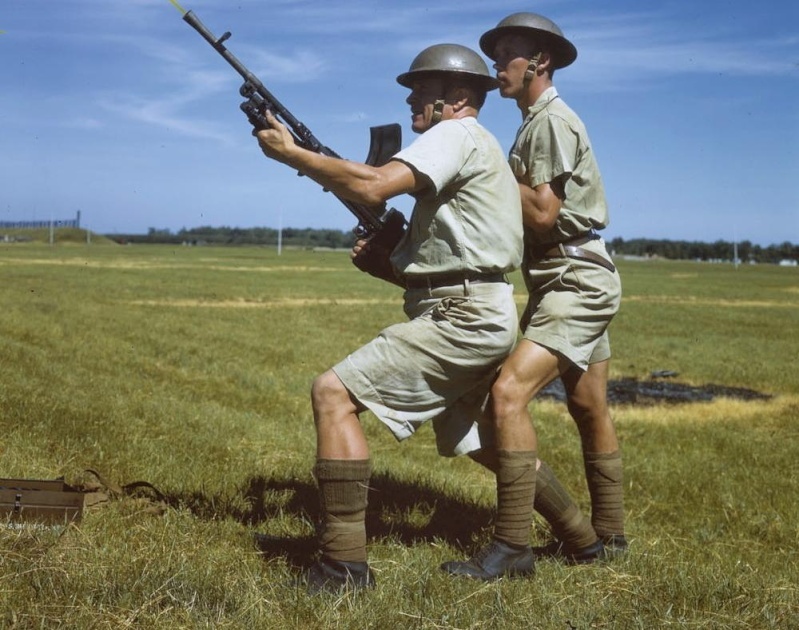 They may have had Canadian issue khaki drill or they may have drawn on the British system for tropical wear, as the Canadians serving in Italy did. It is not clear what if any insignia was worn in Hong Kong. This early in the war the only insignia available was the worsted slip-ons and the worsted Canada titles. Both the RR of C and the WG were reformed in early 1942 and served in Canada for home defence. Each unit had coloured embroidered titles approved sometime in 1942, but these were not available for the Hong Kong personnel who were now Po W's. The WG served in Canada and were sent to the UK and became a training cadre depot there. The RR of C served in Canada and were sent overseas and broken up for reinforcements. The new battalions of both units wore battledress. These uniforms may exist, but are not Hong Kong uniforms. The survivors of the WG and RR of C held prisoner by the Japanese were repatriated immediately after their release from the PoW camps. The remnants of the uniforms they had when released were destroyed. They were issued battledress on the way home. A special badge was authorized for the surivors, the HK patch with silver white lettering on a red circle. They were also supposed to get the appropriate regimental titles, but it is not clear if the inventory of titles was available when the arrived on the west coast. Most of these personnel were demobilized, but a few re-joined the army in the post war period. They wore the HK patch on the uniforms for a period of time, but effective January, 1947 it was ordered that all wartime formation patches be removed. Some of the Hong Kong personnel in the RR of C or the WG and would have wore the uniform insignia of those units and maybe the HK patch. There is a chance that these tunics surive.It must be noted that the titles for both regimets remained the same pattern from their approval in 1942 unti they were disbanded. Both of these reserve units remained active in the militia until the RR of C and the Winnipeg Grenadiers were reduced to nil strength and placed on the Supplemetary Order of Battle in 1966 and 1965 respectively. Thanks guys,lots of information here which is what I expected from this board. Any pics of what the boys wore would be great if possible. I've seen a uniform once with the "HK" on it,I only wish I could remember where. Just type in Canadians at Hong Kong and click images. I was hoping to get more detailed pics if there was anybody here with a tunic Ed. Those pics that I've seen on the internet aren't very clear or detailed. Take a look at this link. 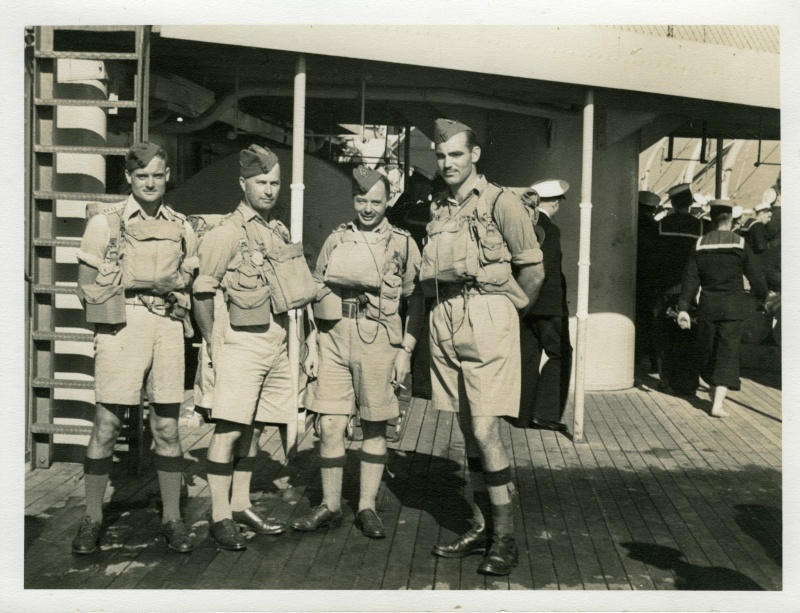 Lots of photos of WG and RRoC boys wearing battledress with regimental titles and HK patches all taken shortly after returning to Canada in 45-46. Lorne, I can't see a link. Not sure what happened, here's the link again hope it works. Interesting to note that many of the RRoC boys are wearing Canada titles along with ther RRoC flashes and HK patches. Glad to of helped, I just wonder how many RCoC BD's have servived. 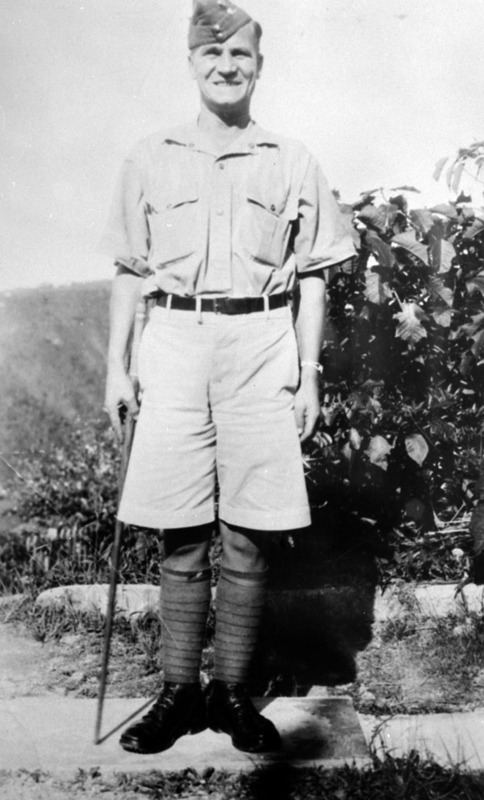 1) Company Sergeant-Major James Robert Osborne, VC of the Winnipeg Grenadiers is seen wearing the quintessential Canadian summer uniform in Jamaica between 1940-1941. 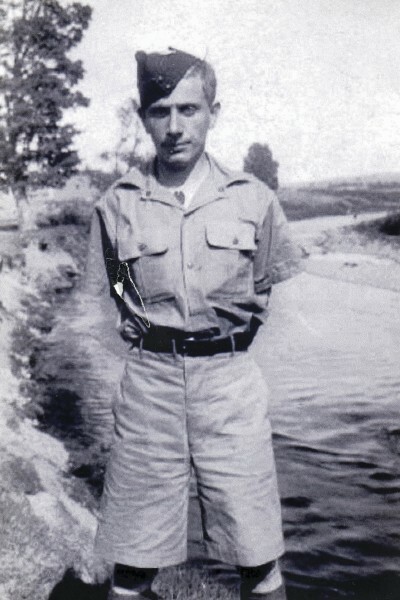 Note the recently-issued field service cap, Canadian-made KD shirt (with buttoned open collar, short sleeves and half-front), Canadian-made KD shorts (with belt loops rather than a double buckle closure) and long puttees worn without hosetops (similar to British troops in the early part of the Great War). 2) A private of the Royal Rifles of Canada in Hong Kong in 1941. Note again the long puttees without hosetops, newly issued Pattern 1937 W.E. and the rolled long-sleeve shirt. 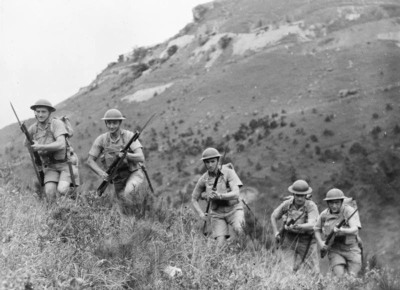 3) Canadian soldiers training in Hong Kong in 1941. Note the short sleeves suggestive of Canadian-made KD shirts. 4) A group of Canadian officers of an unknown regiment (possibly Royal Rifles of Canada?) standing on the deck of a ship. Note the early style holsters (too small for the large frame revolvers) and binocular cases without buckles, both suggestive of an early date. 5) Another good view of the early Canadian-made KD uniform seen on an unidentified soldier at Camp Borden in 1940. 6) Lastly, a nice color photo to demonstrate the shade of Canadian-made Khaki Drill (probably taken sometime after the fall of Hong Kong). The cap badges indicate the officers are Royal Rifles. Note also the metal rank stars in dark metal. No evidence of cloth rank badges. Here is my impression of a Winnipeg Grenadier at Hong Kong, for what it's worth. I know it has a number of issues (namely the incorrect boots, later pattern Canadian KD shirt, and basic pouches with 1" wide closure straps). As war with Japan loomed ominously on the horizon, it was quickly realized by British strategists that the defense of Hong Kong would be impossible. At first, the colony’s garrison was reduced to a token size, but then it was decided that limited reinforcements might deter the Japanese from starting a war. The Canadian Government volunteered to send two infantry battalions to defend Hong Kong, known as ‘C Force’. This force arrived in late November and by December 8th they faced a Japanese army of fifty thousand with no air cover or vehicles. Despite a resolute resistance, Hong Kong fell on Christmas day 1941. 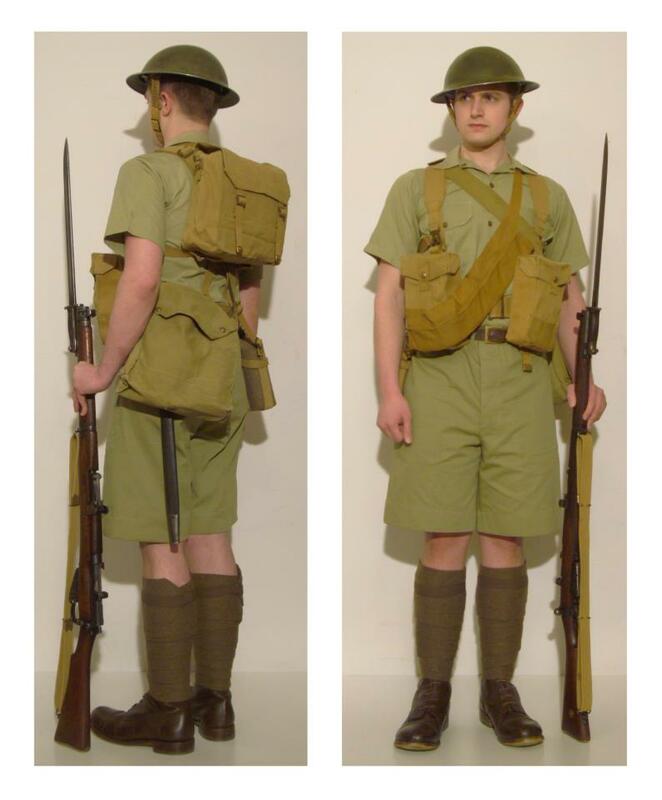 3) Canadian-made Pattern 1937 Web Equipment; shown here in ‘battle order’ without the large pack and support straps. The small pack is worn high on the back and is attached to the basic pouches by means of hooks at the angle of the 'L' straps. The sword bayonet was worn on the left hip and the water bottle on the right hip. Canadian-made web sets were of a more golden hue than British made ones. Here the water bottle is the Canadian Mark VI with blue enamel and a thick khaki cloth cover. 4) Canadian pattern fifty round bandolier; unlike the British version, Canadian five pocket bandoliers (like their American counterparts) relied on flaps rather than hooks. 7) Canadian army issue brown leather trouser belt with brass buckle. 10) Bayonet No.1 Mk.1; the seventeen-inch 1907 pattern bayonet of the Great War was given new nomenclature by the Second World War. Bill wrote: The cap badges indicate the officers are Royal Rifles. Note also the metal rank stars in dark metal. No evidence of cloth rank badges. Thanks Bill, I have always wondered about that!